As if nearly being assassinated on the eve of his inauguration wasn’t bad enough, Interstellar Alliance President John Sheridan now has to pull off the impossible and convince everyone to sign the declaration of independence principles even as G’Kar continues to edit the darn thing. And Lyta meets the new telepaths. Chat about how these things shake out later in the season here. Wherein we discuss the putative redemption of one prime minister of Centauri Prime and the amorous pursuits of one Ranger trainee. 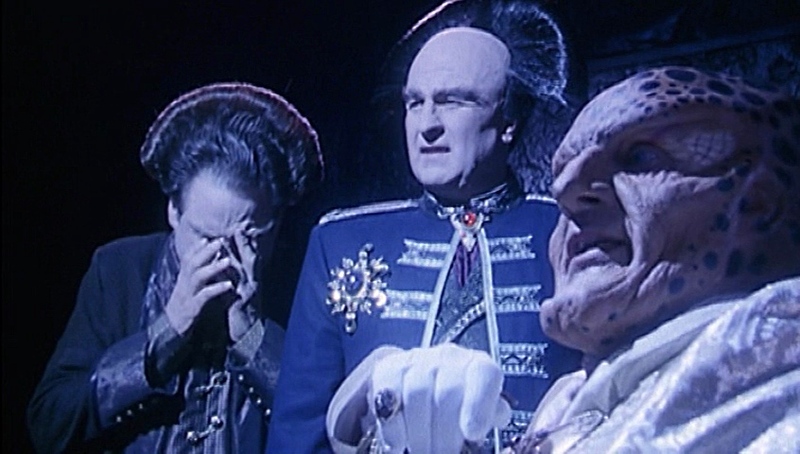 So, it turns out there was an even more powerful alien-race-with-dubious-motives than the Vorlons. There’s ALWAYS a bigger fish. 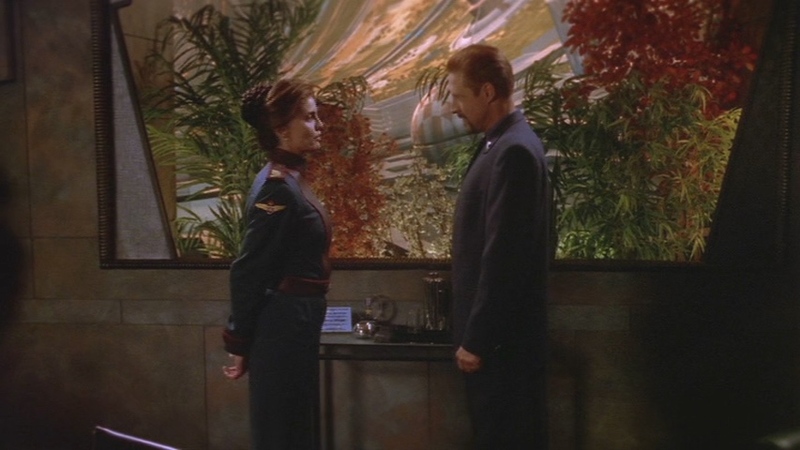 Did “Thirdspace” pull off presenting the bigger fish in the B5 universe? As part of the move to TNT, a couple of B5 TV movies happened. This is the one that didn’t crib chunks of its footage from previous episodes. This is the one that supposedly took place during Season 4, but has a lot of character and plot development that sometimes doesn’t gel. In other words, retcons are rarely seamless and they shouldn’t have renumbered the Narnia books. Thrash it all out, past and future, here.